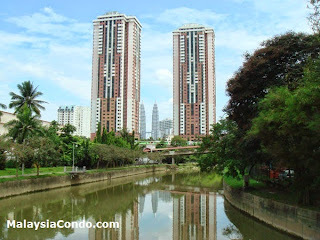 Bistari Condominium is a luxurious resort-inspired environment with a relaxing ambiance. Lush greenery envelope this cosy development, surrounded by upscale shopping malls, top-notch hotels, superb restaurants, state-of-the art cinemas and vibrant nightlife. Located along the strategic prime area of Jalan Putra in Kuala Lumpur, you will find this 38-storey two-block condominium with 3 bedrooms, 3+1 bedrooms and 4+1 bedrooms offers peace and comfort throughout your stay. Built-up Area : 1,063 sq.ft. - 2,380 sq.ft.